We have completed replacement (modification) of nacelle rear spar fittings for All 16 aircraft of DHC-8-400 (Q400) owned by ANA. This modification started in 2011, and modification for all targeted aircraft (total 16) has been completed. 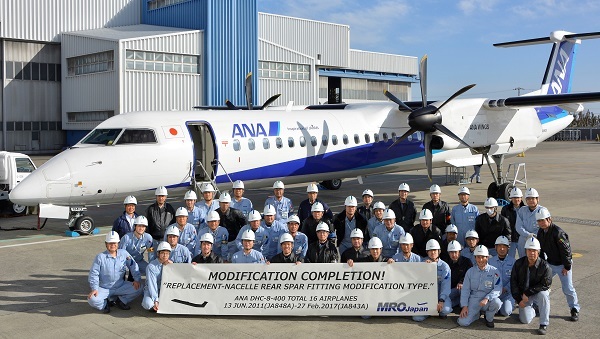 MRO Japan performed the modification for six aircraft after ANA Aircraft Maintenance Co., Ltd. and ANA Base Maintenance Technics Co., Ltd. completed for four and six aircraft, respectively.